3. Non-deformation, it will keep as new as before though you wash or wear them many times. 4. It's the first choice of winter protection, warm keeping and decoration. Color: as shown, other colors are also available. Usage: Keep warm and decoration, photographe, etc. OEM / ODM: Acceptable, customer's design and artworks are welcome. Trial order or sample order is welcome. Welcome to visit our factory and showroom anytime. Please advise us if you have any questions. Please contact us and we will send you more items with competitive prices. 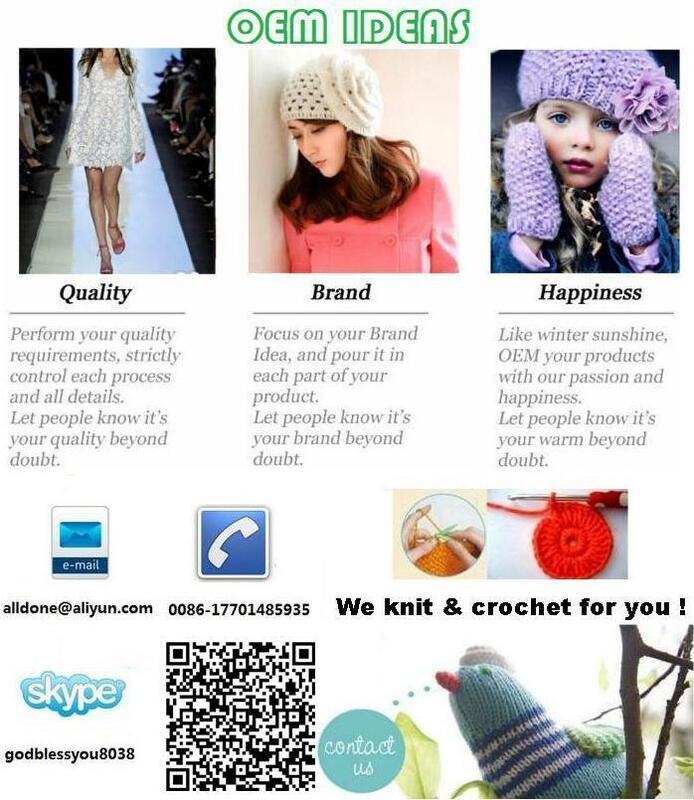 We are a direct factory, professional in making hand crochet items including baby shoes for more than 20 years. We are not a trading company or a agent or a middle person. Contact us if you need more details on Crochet Boots. We are ready to answer your questions on packaging, logistics, certification or any other aspects about Crochet Sneakers、Crochet Shoes. If these products fail to match your need, please contact us and we would like to provide relevant information.